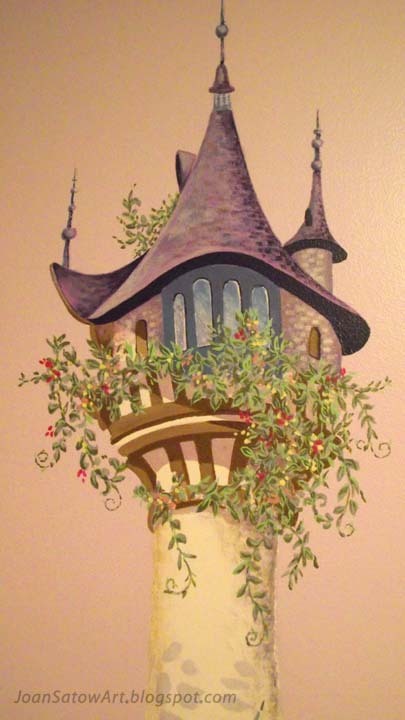 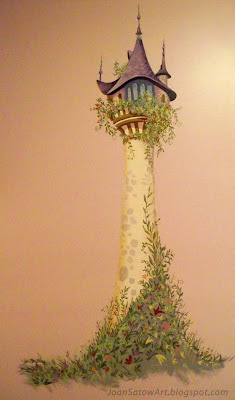 inspired by Disney's® Movie, "Tangled"
Close-up detail of the top of the tower. 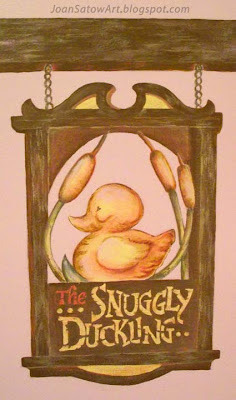 the wooden sign outside "The Snuggly Duckling". 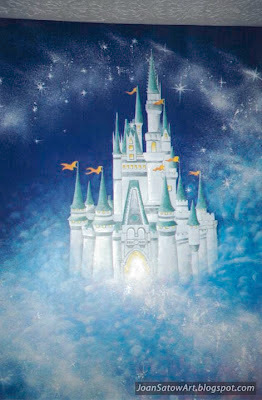 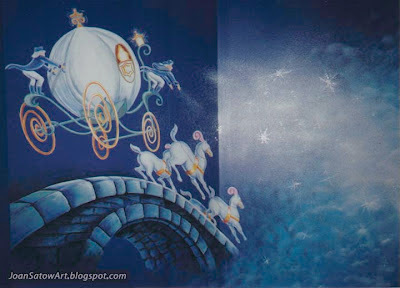 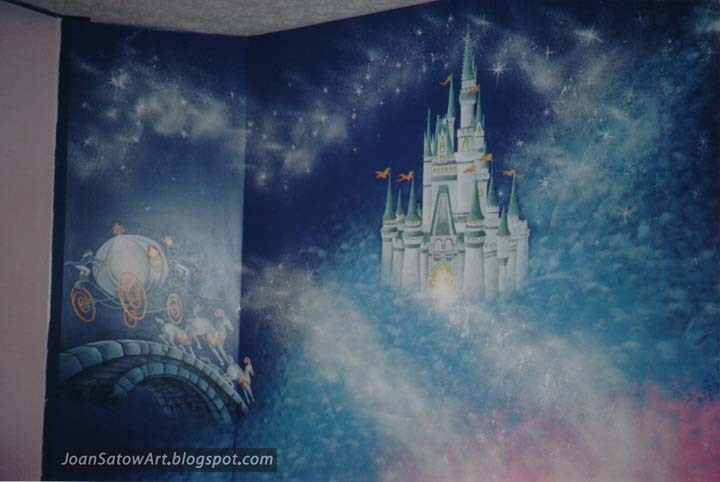 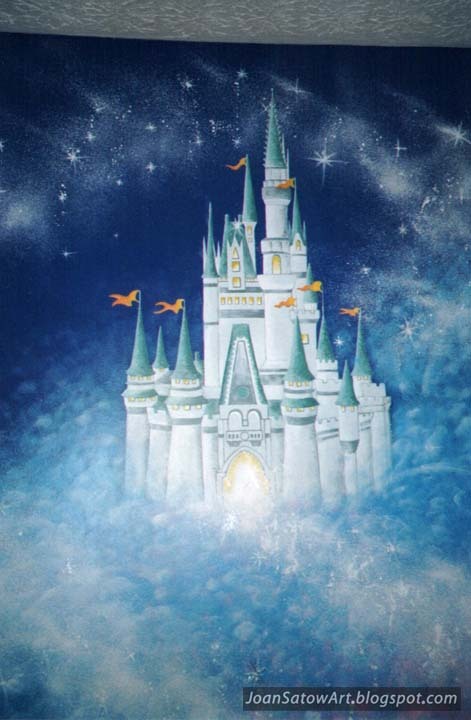 depicting Cinderella's castle, her pumpkin coach, and lots of fairy dust. Close-up detail of the pumpkin coach portion of the wall.